Welcome to the Maple Ridge – Pitt Meadows School District (SD42). We are proud to be one of BC’s most innovative school districts and make it our mission to ensure that all our learners feel valued and reach their full potential. 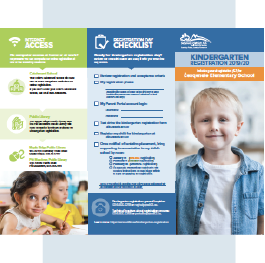 Download our Programs of Choice booklet to learn about some of the dynamic programs offered in our district. For information about our online registration process, including registration phases, required supporting documentation and acceptance criteria, explore the sections below or download our brochure. 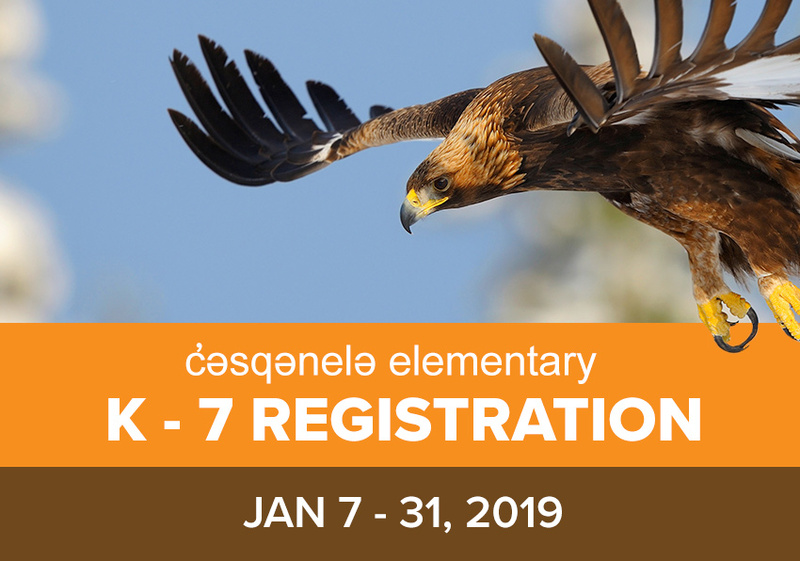 For information about K-7 general registration for c’usqunela Elementary, visit the school website. Any child who turns 5 years old in 2019 (born in 2014) is eligible to register for the 2019-20 school year. For additional information about Kindergarten Registration phases, see the Registration Phases tab below. Registering your child for kindergarten is a big step, but it doesn’t have to be a difficult one. With our easy new online registration process, you can register your child from the comfort of your own home. Review the registration steps below to ensure you are ready for the big day. Complete steps 1-4 before registration to save time. 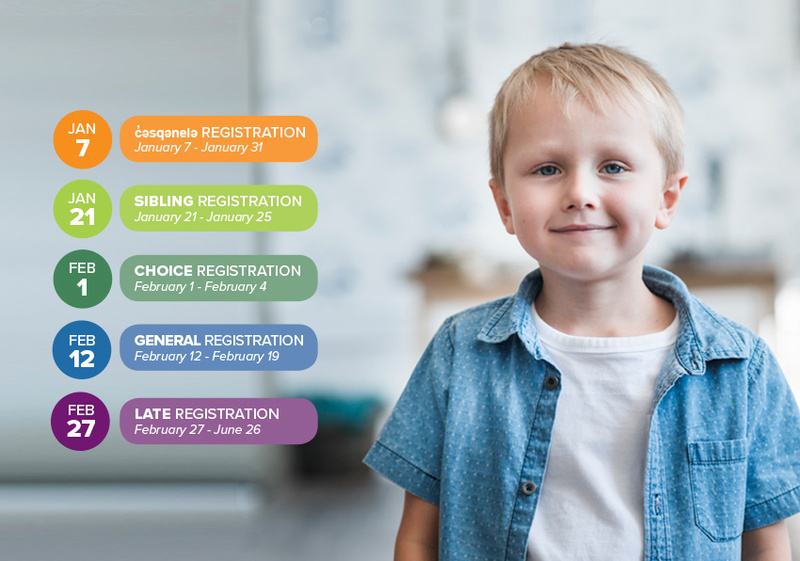 Review our registration categories (SIBLING, CHOICE, GENERAL) to find your registration phase. 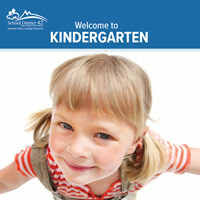 The order in which we place our new kindergartners is determined by our Acceptance Criteria. Review these below. Once you receive email notification of your child’s tentative placement, you must bring supporting documents to that school. See Supporting Documents section below. Registration opens at noon on the first day of each registration phase and closes at midnight of that registration phases’s last day. All registrations will be date/time stamped once after you complete the address/account page and you START entering student information. There is no need to rush through the form to submit. Please complete all sections fully. c̓əsqənelə Elementary Registration is open to students who will be in kindergarten through to Grade 7 in September 2019 and want to register for this new school. c̓əsqənelə Elementary is located at 24093 – 104th Avenue, Maple Ridge, and is scheduled to open for the 2019/20 school year. Choice program registration for all students who wish to participate in any one of SD42’s unique program offerings. See acceptance criteria 2-5. Late Registration Period for parents who missed previous registration periods. We will advise you of your child’s tentative placement via email and will ask you at that time to bring all supporting documentation to your child’s school. See acceptance criteria 1-5. Open Registration Phase for parents who wish to register their child in kindergarten for the 2019-20 school year starts in July. If you miss your deadline, your child’s school assignment will be CANCELLED and you will have to re-apply. No computer access at home or at work? Your child’s catchment school will have one or more computers dedicated for online registration. If you don’t know your child’s catchment school, use our online school locator tool or call us at 604.466.6218 .